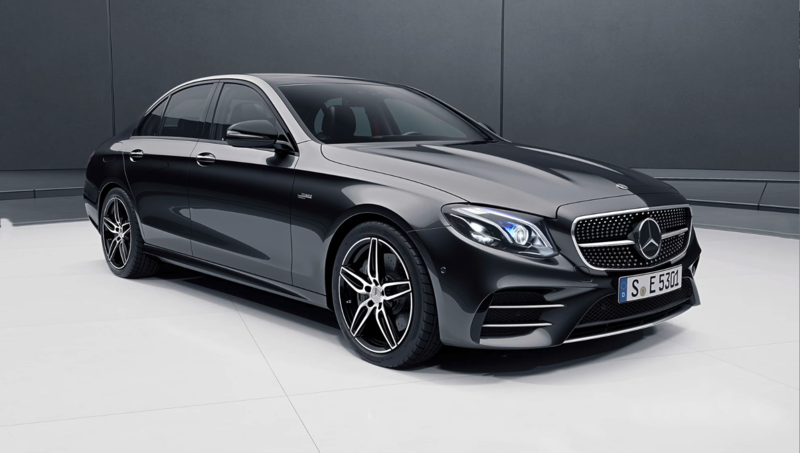 Home Wheels and Gears Effortless Superiority Meets Sensuality in the 2019 Mercedes-Benz E-Class. Effortless Superiority Meets Sensuality in the 2019 Mercedes-Benz E-Class. With an astounding lightness of touch, the new E 200 is the embodiment of modern style and refined sportiness. The E 200 welcomes you with an atmosphere of clarity and secure comfort. Horizontal elements lend an air of peace and breadth. High-quality materials snuggle up to gently curved trim parts, which run like waves from the dashboard to the doors. The sculptured seats offer the comfort on long journeys you would expect of Mercedes-Benz. DYNAMIC SELECT switch lets you select particularly comfortable, sporty, efficient or fully customised handling characteristics with a simple tap of the finger. Parameters such as the engine, transmission, ESP® and steering characteristics are adjusted according to the selected drive program. The all-new E 200 is equipped with several safety features that include a Blind Spot Assist and a parking package that includes a reversing camera and the Active Parking Assist feature. The Active Parking Assist facilitates the search for and selection of a parking space, as well as entering and leaving parallel and end-on parking spaces or garages. The E 200 is also equipped with a 12.3″ Media Display that enables smartphone integration as well as Mercedes-Benz Navigation. The all-new E 200 is equipped with a Memory Package. When the vehicle is used by several persons, the Memory Package offers particular operating convenience. Up to three different positions for the electrically-adjustable front seats, steering column and exterior mirrors can be stored and retrieved at the touch of a button. The starting price for the E-Class is BHD 22,540. For more information call 17785454 or visit www.bahrain.mercedesbenzme.com.